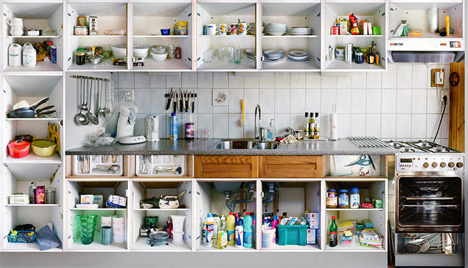 Would you ever allow a stranger to come into your home, open every cabinet and cupboard in your kitchen, and photograph whatever he finds? 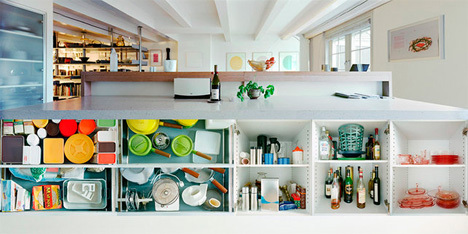 Artist Erik Klein Wolterink does just that, photographing the room that is often thought of as the heart of the home. He doesn't romanticize the space, however – he wants to catch the everyday chaos that exists in most kitchens. 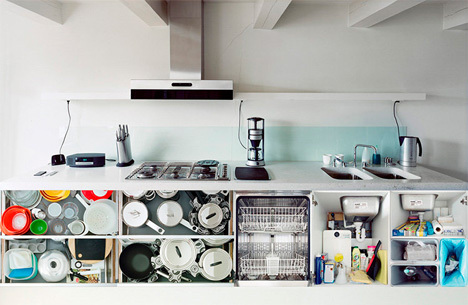 As he steps foot into each kitchen, he opens everything up – fridges, cupboards, drawers, pantries, ovens and dishwashers – and meticulously photographs everything. 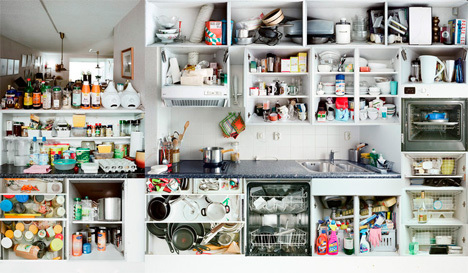 The camera misses nothing – not the full dishwashers or the foreign food items or the many jars of Nutella. 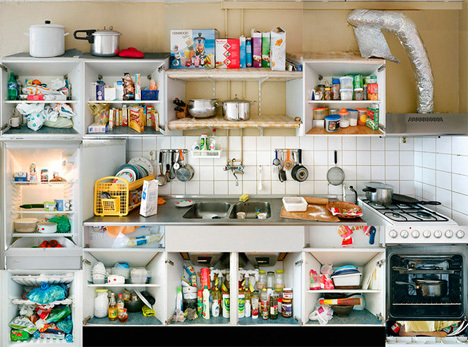 After photographing every possible angle of the kitchens, Klein Wolterink assembles the photos into pieced-together portraits. 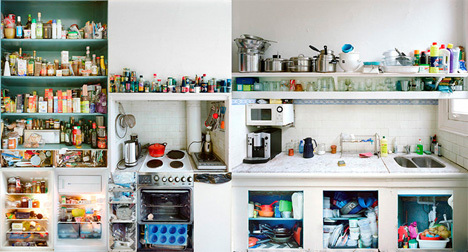 They are patchwork quilts made up of different angles of different parts of the same kitchen. They aren't simply straight-on pictures of rooms; they are surreal portraits, real-life tableaux in which we can see every single part of the room all at once. 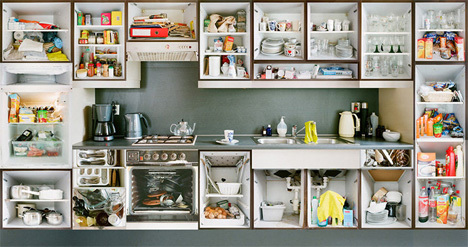 The photographs all come from kitchens in and around Amsterdam, a city rich with multicultural life. This multiculturalism is displayed in the objects residents keep in their kitchens: foreign foods, exotic ingredients, alien-looking tools. But there is something here that unites all of us, a type of universal humanism that pervades the way we buy, store, prepare, and eat our food. Interestingly, Klein Wolterink doesn't consider himself a photographer as such. He thinks of himself as a modern cartographer. Maps, he says, are not realistic representations but they make you understand reality. His photos are, in a way, maps to the human condition and our varying but connected lives.